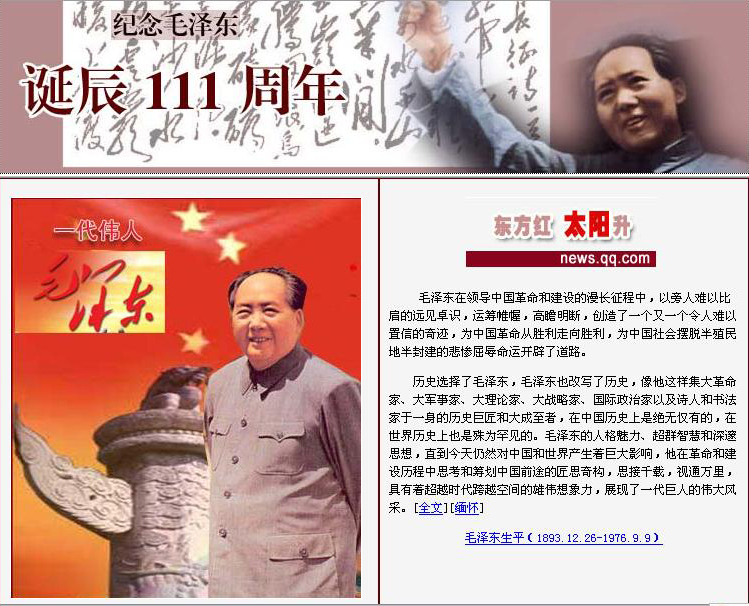 111 families celebrating with Chairman Mao, ten thousand people eating longevity noodles together, and so on. Moreover, Chinese Communist Party History Publishing House published a new golden version of Mao’s handwriting. Those ceremony ended on December 26.
what? the world still remembering this old man? I mean this men only made suffering to the people during war, but as a historical character, he deserve his moment in the history. Chinese will surely give way to celebrate this event. He’s one of the most respected man in China.